The idea of a mosque in Center City started in the early 1990’s when several Muslims who worked and lived in downtown Philadelphia realized they needed a place to congregate for the weekly Friday prayer. Though there are many amazing mosques within the city that have been serving the diverse Muslim population for decades, there was no place close enough for those who worked in Center City to be able to make their Friday prayers in congregation and return to work in a timely manner. Fridays are an important day for Muslims; it’s the one day Muslims are obligated to stand together to offer their afternoon prayers. It’s a dedicated time for Muslims to meet with one another, develop friendships and bonds, and address topics specific to the community. As the community in Center City grew, the temporary solutions became inefficient; no longer could rental properties or interfaith spaces at the local medical university suffice. Thus, the aim of the Center City Mosque was born: to establish a permanent location in Center City for not only making the weekly Friday prayers, but also for providing a communal place to perform the five daily prayers incumbent on all Muslims, seven days a week. With this simple goal in mind, we call upon all who are able to help us in creating a safe, sustainable, and welcoming place of worship. We pray that Allah (praised and exalted is He) helps guide us on the straight path, allowing us to worship Him alone, as established in His book, the Qu’ran, and through the teachings of His messenger, the Prophet Muhammad (peace and blessings upon him). We are thankful to live in a country that empowers everyone to freely practice her or his beliefs. It is an even greater blessing to live and work in a city that not only is the home to where the country’s independence was first officially declared and its constitution – the cornerstone of our great democracy–conceived, but also the home to diverse communities. 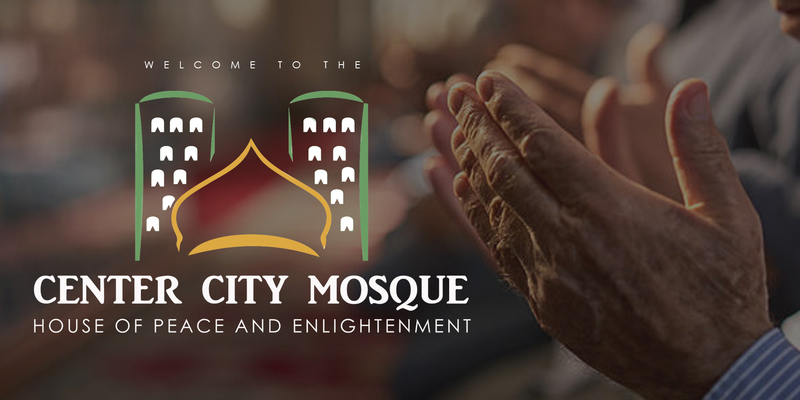 It is our hope that the Center City Mosque, in continuation of the pluralistic history of this great city, will become a permanent home for Muslims to worship together and for non-Muslims to come and learn about their Muslim neighbors in a safe, welcoming, and friendly environment. 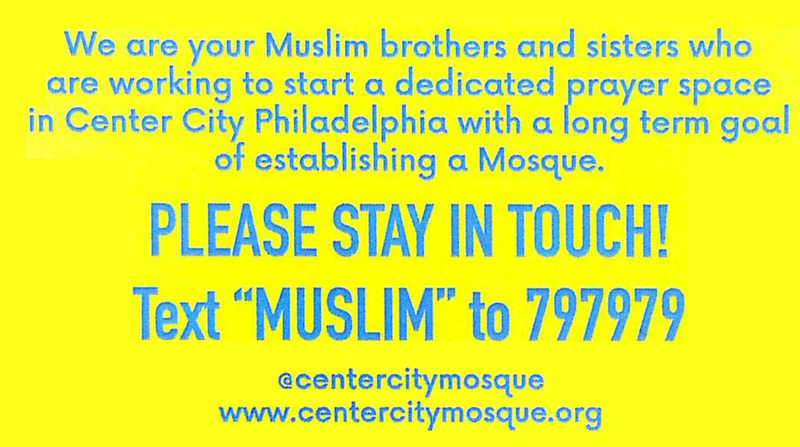 If you are aware of other places in which Jummah prayer is offered in Center City, please let us know so that we can spread awareness. © 2018. | Center City Mosque. All Rights Reserved | ‘House of Peace and Enlightenment’ is a Pennslylvania registered non-profit organization.